Experiments have shown that online advertising and print advertising are increasingly less effective. We have become blind for advertisements. The term “banner blindness” or advertisement blindness was coined by Benway and Lane as a result of website usability tests where a majority of the test subjects either consciously or unconsciously ignored information that was presented in banners. They used eye tracking camera’s too monitor where people look on a screen. 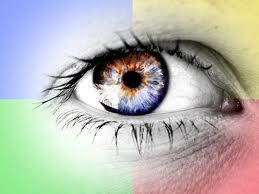 The experiment showed that we do see the ads, but we do not take them into account. Jacob Nielsen did a comparable experiment back in 2007. We have become extremely well trained in filtering out everything we don’t want on a web page. And that even includes Google text ads. Eye tracking camera’s monitor where people look on a screen. Banners and even Google text ads are not looked at. There are lots of studies about the advertisement effectiveness of online banners, print media social media advertising, or other types of advertising. So what’s the effectiveness? 2% click? 4%? Facebook is trying to convince advertisers in a Comscore 2012 recent study that advertising on their platform works. The study talks about 2 to 4% effectiveness. 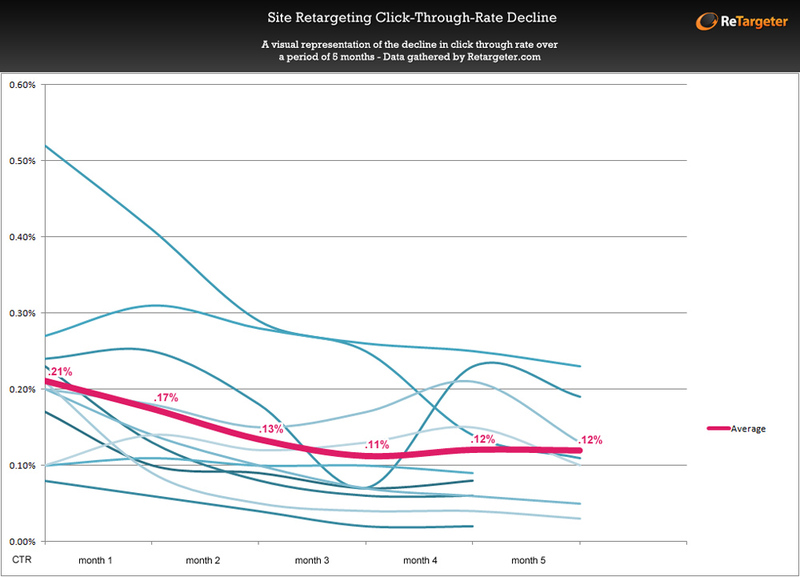 Re-targeting techniques get a 2% click-through rate, according to a study done by Retargeter. I don’t buy it. To me 1 to 2% is the margin of error of a study. And even if the data is correct, are you happy 2 %? To me it’s amazing to see that B2B marketers are still increasing their ad spending, despite these poor results! In a recent study from ABM (US only), tradeshows grew with 4,4%, digital advertising with 14,2 %, but print advertising fell 4,2%. Do we, marketers, really want to continue to re-enforce the image that the money we spend is not bringing enough value to the business? Why do people read magazines? Why do they visit websites? Because that’s what they need to fuel their buying decisions. Editorials that give answers to their business issues. Thought leadership or vision pieces that shows them the future. Use cases that show how others have done it. Webinars that provide them with accurate answers to their questions. How do you apply that to B2B advertising? Sometimes you want to advertise. In that case advertise with what people want. And that doesn’t mean advertising your product, no matter how convinced you are that people want your product. A full-page print advertising about your new whitepaper discussing one of the biggest industry issues, and webinar linked to that. An on-line banner advertising for your webinar about one of their business issues. A free-to-download study about how your buyers’ industry peers are solving a certain issue. You know these issues because you have been listening to their business issues. The effect of advertising like this is that it lifts your brand, people get to see you as a thought leader, and they will take you on their short list. We marketers should not be happy with 2%. Go for 20%. Go for more. Go for it. Nice item Tom. Research actually shows that B2B click through rates on online banners are running at about 0.25 percent. Skyscraper banners also enjoy a far higher click through rate than a 468×60 banner. The key to print and online advertising is to make sure that it isn’t a scatter gun approach. They can both compliment each other if done correctly. Dedicated industry sites and magazines that are content driven and offer must read material deliver by far the best results. Glad you found my little spot on the internet ;-). Sometimes you want to reach out with everything you got, and that means including advertising. This post is about people being blind to plain product advertisements. And that research has shown that the results are actually disappointing. They obviously cannot “not”be influenced by it, so if you want plain ‘awareness’, you can go for it, but only if it is applied through an integrated marketing approach. If you want to position your company as a product leader and thought leader, advertising with your information, knowledge, vision and insight is helping you to lift your brand as a leader in your market. Feeding industry sites and magazines with this type of material is part of that. So yes you are right. Thanks for the comment.